You see a map that displays territory of China, of Russia. Displayed city Blagoveshchensk download for free. You can find here city Heihe presented. On this map city Belogorsk download for free. city Svobodnyy free download. You can find here city Shimanovsk marked. Displayed town Seryshevo presented. You can find here town Tambovka for Garmin. Displayed town Srednebelaya free download. You can find here Zagornaya Selit'ba marked. 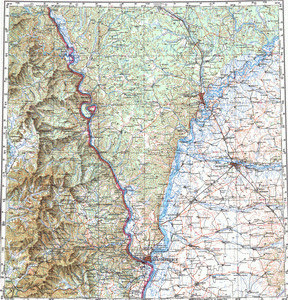 On this map Svetilovka for Garmin. Displayed Zverikha download for free. You can find here Zorino free download. You can find here Zlatoustovskiy marked. Zigovka for Garmin. On this map Zheltoyarovo download for free. You can find here Zharikovo free download. Displayed Zarechnoye presented.